In SuperCallouts you’ll find an abundance of video creation resources. Included you’ll find stock footage, video backgrounds, whiteboard animations and much more. All included resources has been tested and are working on Camtasia 8 for PC. 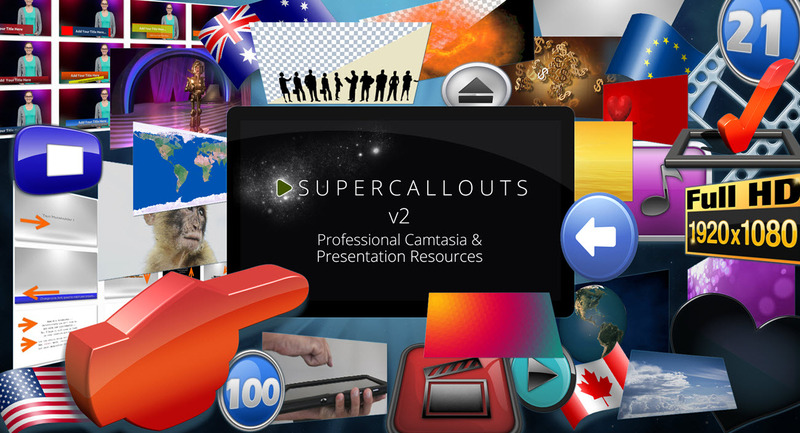 SuperCallouts installs directly into Camtasia 8 Library. SoftwareCasa © 2015 - SuperCallouts & SuperStamps Professional Video and Graphic Callouts for your work and play - All Rights Reserved. Snagit and Camtasia are Trademarks of TechSmith.